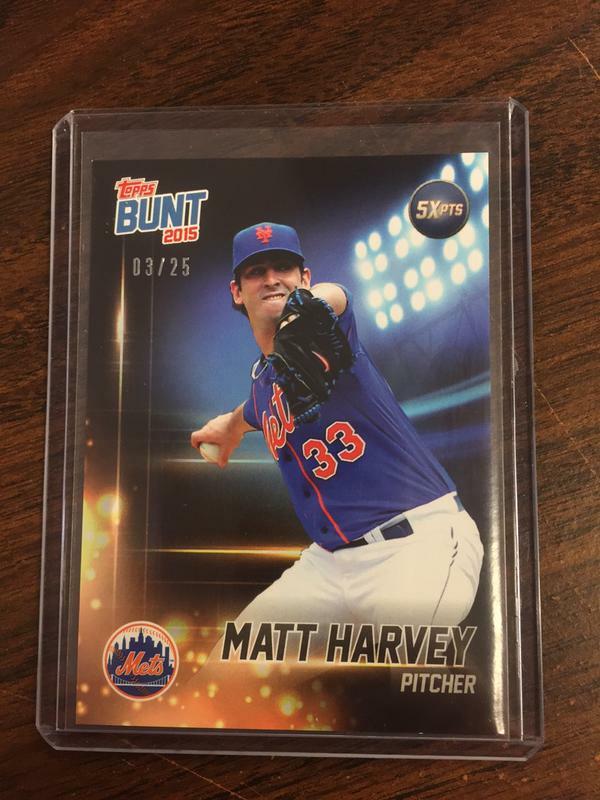 I posted earlier today about the issues surrounding the giveaway for 2015 Bunt coins in packs of Topps Series 2 Baseball. There was another element at play that have turned out to be very worth our attention – the player code cards. Well, I was able to acquire one of these special cards from a breaker at my local shop, and they look to be as good as advertised. Yes – you see that right, they are /25 copies only, AND 5x boost PERMANENTLY! With how rare these cards are, and how powerful they are in the game, I think it goes without saying that these could be highly sought after in just about every way. Im pumped I was able to get my hands on it! How they work is there is a long code on the back that you redeem at a website on the Topps.com website. I am going to guess that the card will then be delivered to you in the game. The checklist is posted on this site a few days back, with some of the top players in the game. To get a shot at one of these, they are ONLY in Topps Series 2 Hobby Packs, at odds of 1:917 packs. Going to be a rare pull for sure. Very cool promotion here, even though many of these cards may never see the light of day. If you pull one or get one, consider yourself one of the lucky ones. Does that include Jumbo packs as well? what is the exact url for entering codes?